Acqua Essenziale Blu is the follow up fragrance to 2013's Acqua Essenziale, which was also created by Firmenich's Alberto Morillas (and also blue in colour). The masculine fragrance is described as a fougère-oriental and features notes of cardamom, bergamot, lavender, cedarwood, benzoin, ambroz and cascalone – a Firmenich molecule that smells of cold water. The bottle was created by designers, Fanny Le Bonniec and Oscar Del Cerro of Sotano Studio. The fragrance launched in April 2014. There are 5 reviews of Acqua Essenziale Blu. Wet, okay "blue" follow-up to the original AE, the Blu version is an oriental fougere that is fresh and citrusy, but a bit weighed down overall. Lavender dominates in this one, and the final result is a spicy concoction with Cascalone aldehydic stabs that take it just up to a watery dimension. IMO, this one is overhyped. The bottle design and color are great, but the liquid within is...okay. Wow, I wanted this one to knock me off my feet, but not really. Comparisons to Giorgio Armani's Dylan Blue and Chanel's Bleu are appropriate, yet those seem more special. I wanted to thumbs this neutral because the lavender ruins it, at least for me. Everything else works beautifully, surrounding the wearer with an air of synthetic blueness, the king you cannot help but like though you know it is generic. Think Bleu de Chanel without the patchouly essence to dirty things up, which drive this towards Versace's Dylan Blue. Dylan Blue contains patchouli, however violet leaves play the role of lavender here, making it smell oh so un-natural. For the price point, it delivers on the mystical blue theme as done by the 2 mentioned above, even rewarding the wearer with its own magic. Worth a sniff, but be patient and let it settle. Acqua Essenziale Blu is a fresh start to a brand new day. I wear it every time I need a pick me up. The lavender is soothing and uplifting with the citrus notes mixed in. Nice summer/spring fragrance. It is perfect for the office or a casual night out. Eh. Smells generic to me, but doesn't smell bad. As Aquila said, it does smell reminiscent of a rainy summer day. 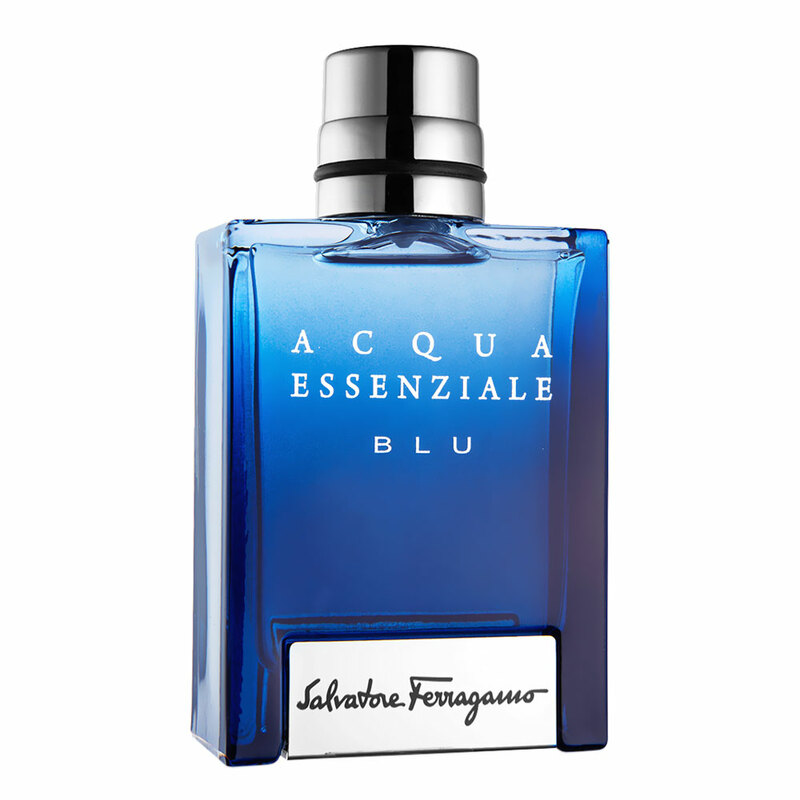 The ACQUA ESSENZIALE BLU takes care of his body,likes to provoke and play on his sensuous and very masculine image.the breath of youth,sharp,light ad sensual.like a heavy summer rain in a bottle.mature but not old that ladies especially younger girls like it.Aromatic,Spicy,Masculine,Enjoyable,Urban,Fresh yet Warm. It begins with a splash of aromatic cardamom mixed with sparkling lemon and bergamot on a lovely heart of opulent lavender and a warm base of Tonka bean, benzoin and patchouli that makes a comfortable finish.it has a nice dry down on my skin.this scents works very well in any season especially for hot& rainy weataher and also daytime wear and casual evenings out. Longevity?Above average on my skin. 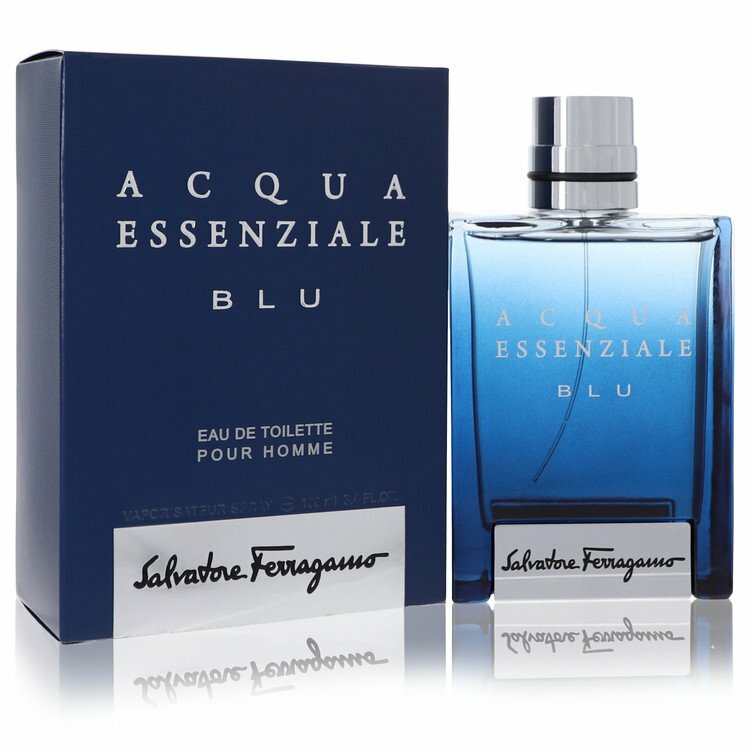 Salvatore Ferragamo â€˜ACQUA Essenziale Bluâ€™ Eau De Toilette. Sealed. There are no member images of Acqua Essenziale Blu yet. Why not be the first?